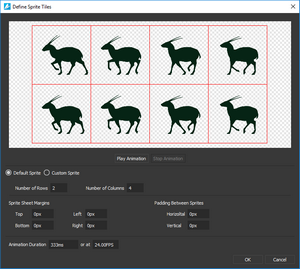 Saola Animate provides a visual compelling tool for creating HTML5 animations and interactive web content. 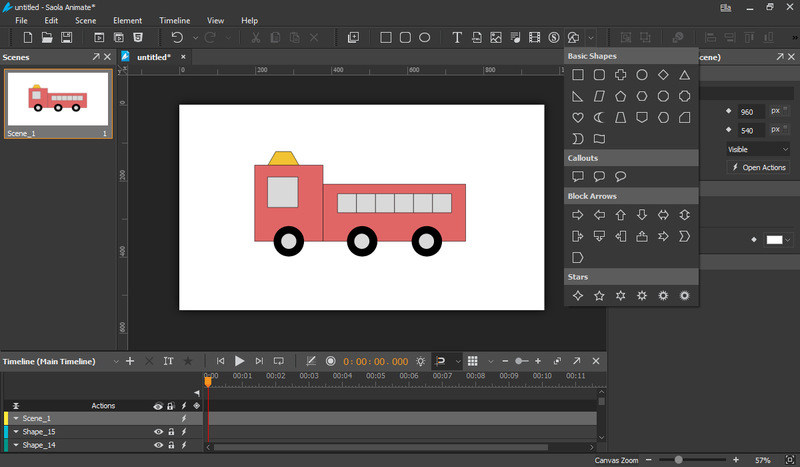 Saola Animate brings all your creativity to life with ease. 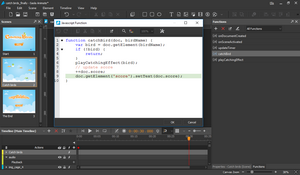 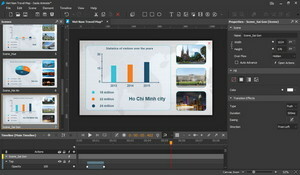 Saola Animate is the ultimate tool for designing and building HTML5 web content using an integrated visual interface. 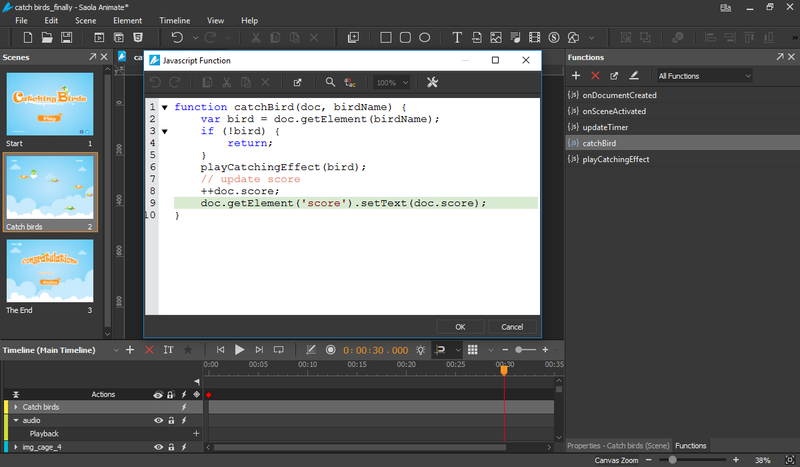 Saola Animate enables you to do almost everything in an intuitive editor with no coding skills required. 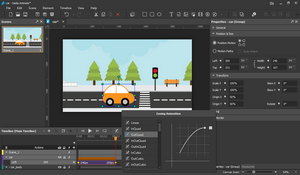 Saola Animate HTML5 animations have flexible layout that works well on any platform or device. 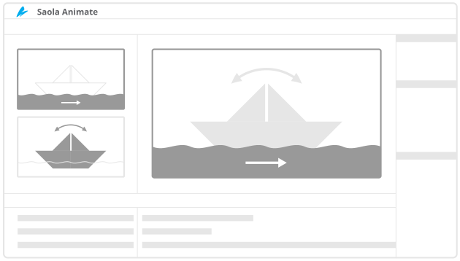 Timeline acts as a container for animations and a ruler that measures time. Each scene can have multiple timelines to satisfy a large number of elements, animations, and interactivity. 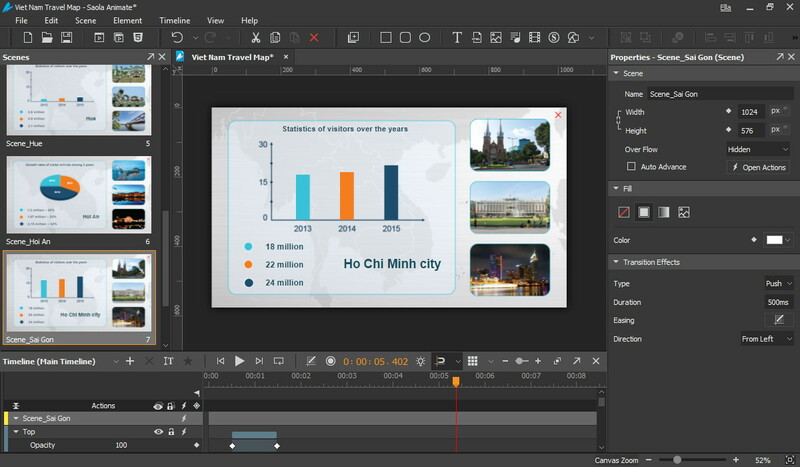 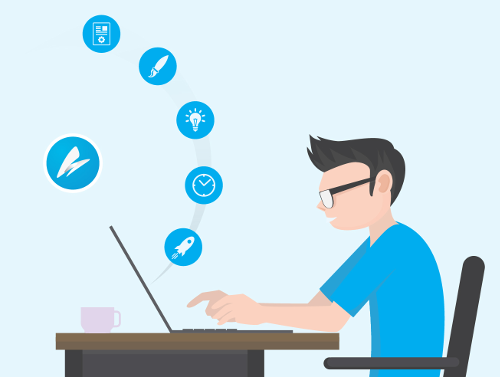 Control timeline playback to create rich and interactive animations. Motion Paths is the best idea when it comes to creating movement. 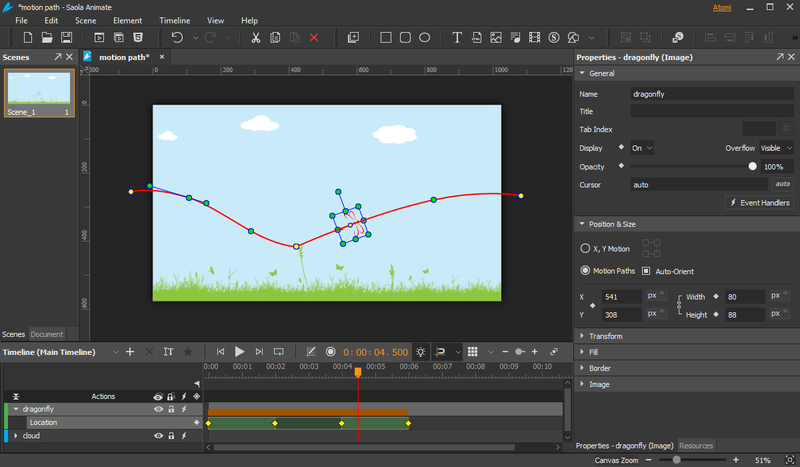 It allows you to draw complex curves than just a straight line, animating your object to move more naturally. 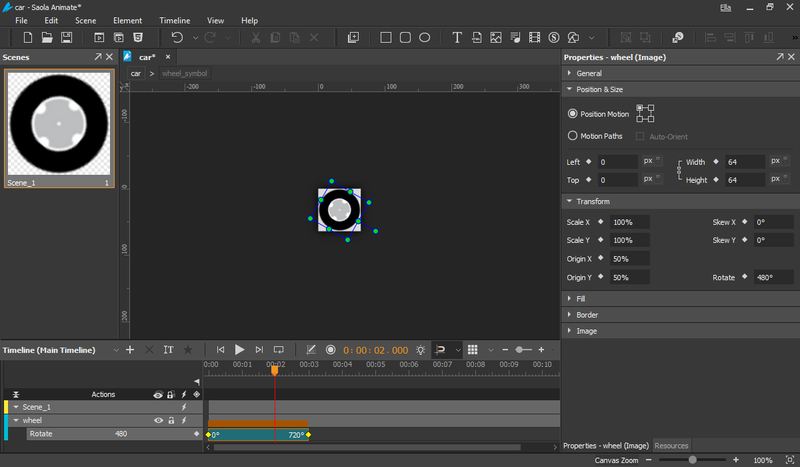 Saola Animate puts a large variety of preset shapes at your fingertips. 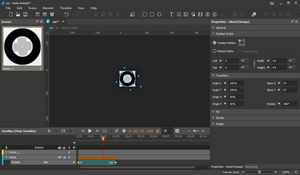 Besides, importing SVG is also supported to allow reusing any existing vector graphics design in your animation.